A wealthy man lives alone in a small cottage. Being partially handicapped, he had everything delivered to his cottage. The mailman was delivering a letter one Thursday when he noticed that the front door was ajar. Through the opening, he could see the man's body lying in a pool of dried blood. When a police officer arrived he surveyed the scene. On the porch were two bottles of warm milk, Monday's newspaper, a catalogue, flyers, and unopened mail. The police officer suspects it was foul play. 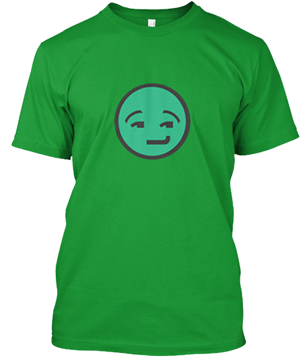 Who does he suspect and why? 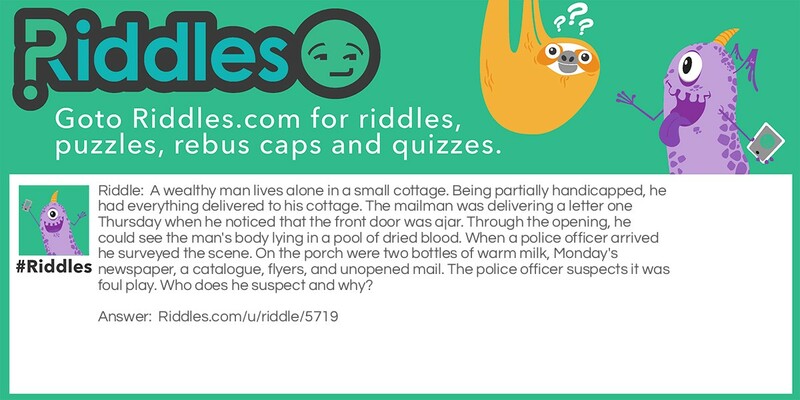 Cottage murder Riddle Meme with riddle and answer page link.